Glenn Litwak has represented platinum-selling recording artists in all aspects of their careers, including artists who have successfully branched out into acting. He has also represented prominent music producers who have produced for recording artists such as Destiny’s Child, B2K, Omari, Marques Houston and Ginuwine. Glenn has negotiated recording agreements for artists who have been signed (through production deals) to major record labels such as Sony Music (Epic Records), Interscope (A&M Records), and Warner Music. He has represented recording artists who have been signed (through production deals) to such labels as Elektra, Atlantic, and Universal Music Group. Glenn also has experience in negotiating music publishing deals with publishers such as EMI Music, Zomba, and Notting Hill Music. Glenn has extensive experience and expertise in representing teen R&B/Pop groups in all aspects of their careers, including the platinum selling group “B2K” and “Immature” (which later became “IMX”). In the motion picture and television fields, Glenn represented ten individuals involved in the 2004 hit movie “You Got Served,” including the writer-director, five of the stars and two of the producers. Glenn has handled more than 100 trials and arbitrations over the last 25 years. He has extensive experience in handling a wide variety of Civil Litigation including breach of contract cases, fraud, unfair competition, copyright infringement and personal injury claims. Trials successfully handled by Glenn have appeared in the “Verdicts and Settlements” section of the Los Angeles Daily Journal, the largest legal newspaper in the country. His cases have been reported in the press by the Los Angeles Times, the Los Angeles Daily Journal and the Hollywood Reporter. Glenn has been profiled in California Law Business Magazine (February 1998). He has also been interviewed on a number of television shows including: Celebrity Justice, Inside Edition, “Xtra,” and Fox Cable News. 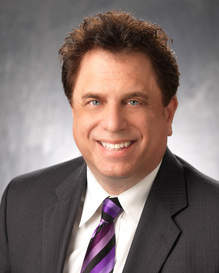 Glenn has been a speaker at entertainment law seminars at UCLA Law School, Loyola Law School, and for the California Lawyers for the Arts and the California Alliance of Paralegal Associations. He teaches a seminar entitled “Self Defense in the Music Industry” at the UCLA Extension, Entertainment Studies Program.